Totally Upgraded. Light and bright. Clean and move in ready. Modern tile and wood-look flooring throughout. Kitchen and bathrooms have nice granite counters, stainless steel appliances, upgraded cabinets and light fixtures. Open floor plan, Master split from other bedrooms. 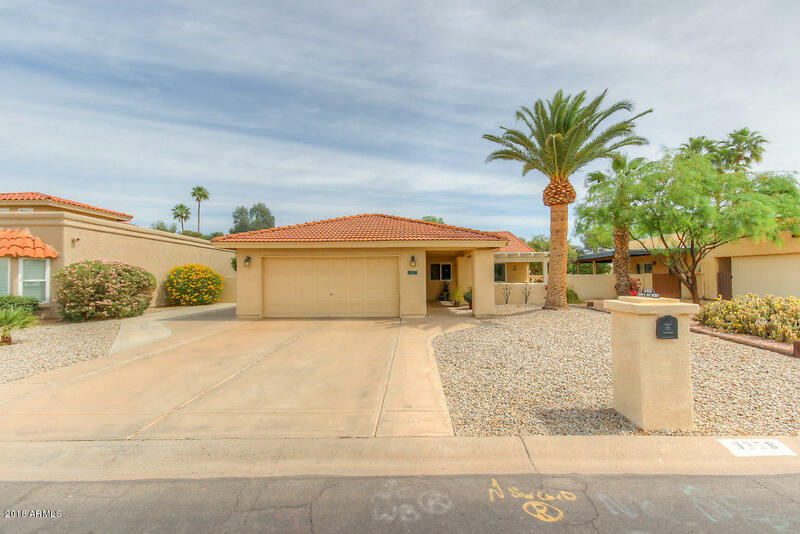 Close to clubhouse, bonus storage room, front sitting area outside, plantation shutters, skylights for even more natural light, best done Arizona room you will ever see, heavy duty security screens, water softener, garage cabinets. Refrigerator included (it's a nice one!). Buyer to verify all facts and figures, including those listed in the MLS.